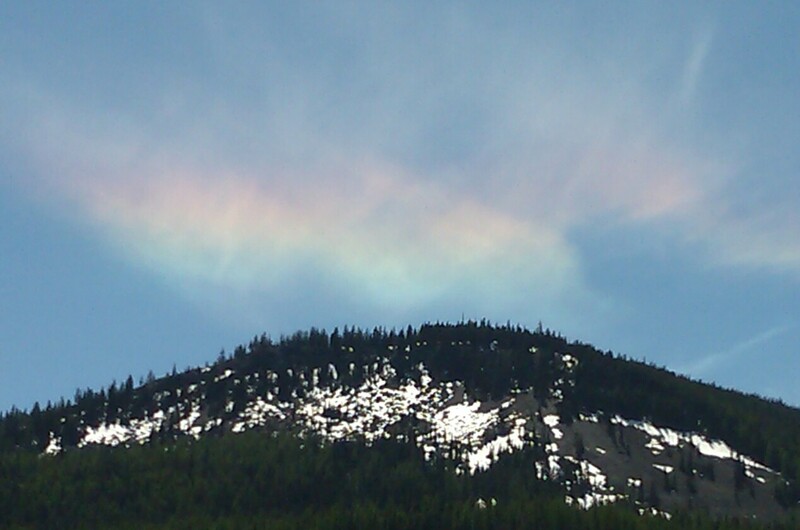 An illuminated rain cloud near White Pass. This post covers day two of the Chinook Pass / White Pass trip I took May 19th and 20th. After a great night’s sleep at the Whistlin’ Jack Lodge, I woke up to clear skies and the promise of a great day. I was rolling down Highway 410 by 8:30. 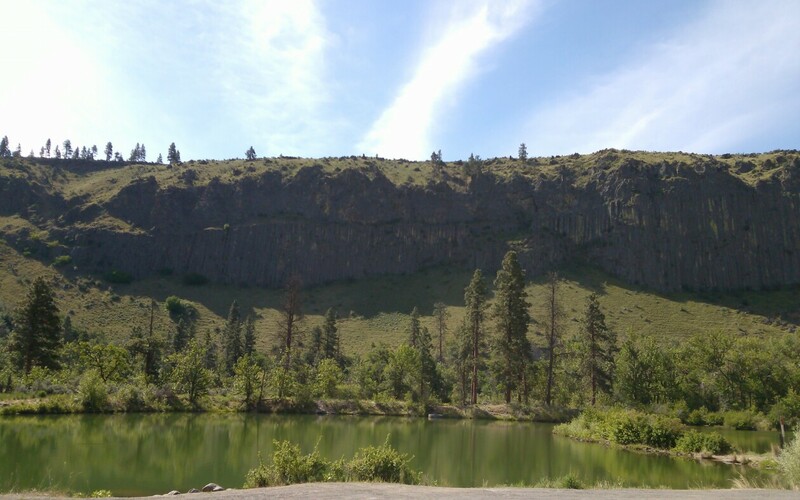 This route follows the Naches River which has cut a path through the rocky canyon walls. I love this time of day when the sunlight and shadows paint the waking hills. You can not only see the outdoors come to life with color by also hear it in bird song and other sounds of nature. It didn’t take long for me to dress down to shorts and a lightweight shirt. It was perfect weather for cycling with most of the day in the mid 70 degree range with little wind. I continued to drop elevation and saw the pine trees all but disappear. 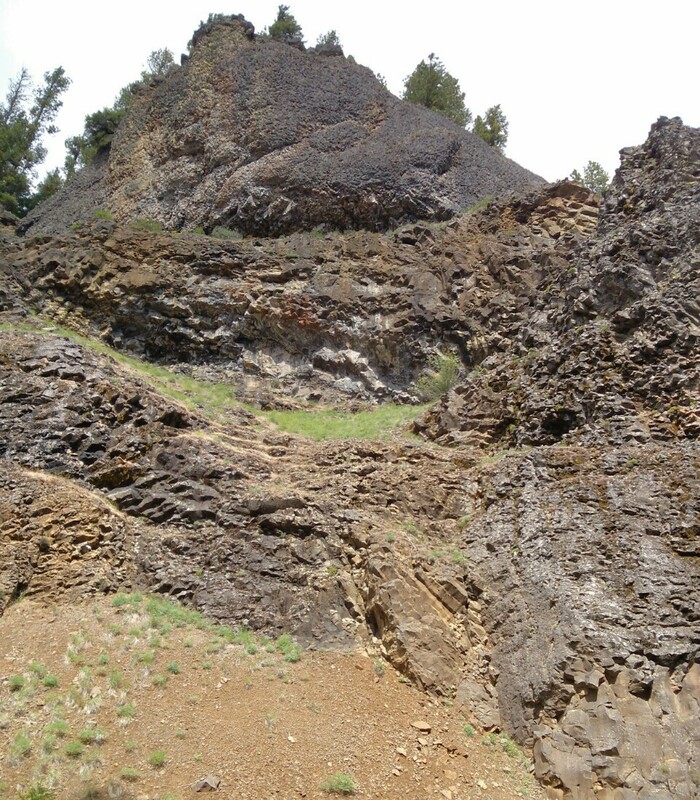 Rocky hills decorated with sage was now the landscape theme. I made it to Highway 12 and turned back west. This part of the ride was not too difficult as there was a moderate increase in elevation over many miles. I stopped briefly at the Oak Creek Feed station. This is another one of those must see locations if you travel through here during the winter months. 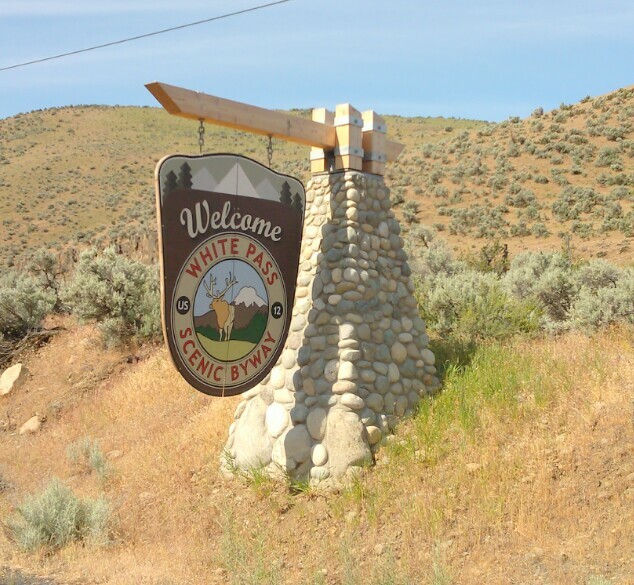 The Washington State Department of Fish and Game manages this site. They feed the large elk herds to ensure the elk maintain healthy numbers. This also helps to minimize the negative impact the herds can have on orchards and other farmland. The area is set up for public viewing and will provide you with an up close and personal look at the elk. 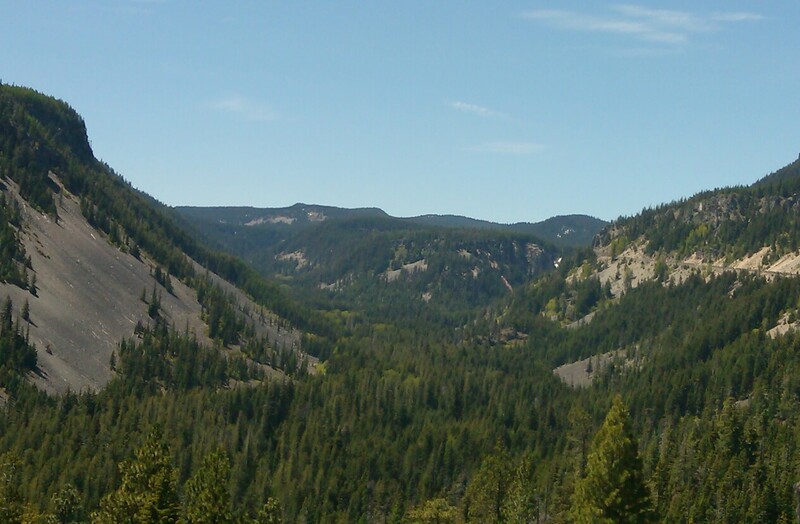 Today, there were no elk in the area as most of them have returned to the surrounding mountains. The landscape slowly changed back to the wooded mountains. Rimrock Lake provided a few photo breaks along the way. I once again saw the rugged snow covered peaks come into view as I climbed the grade. 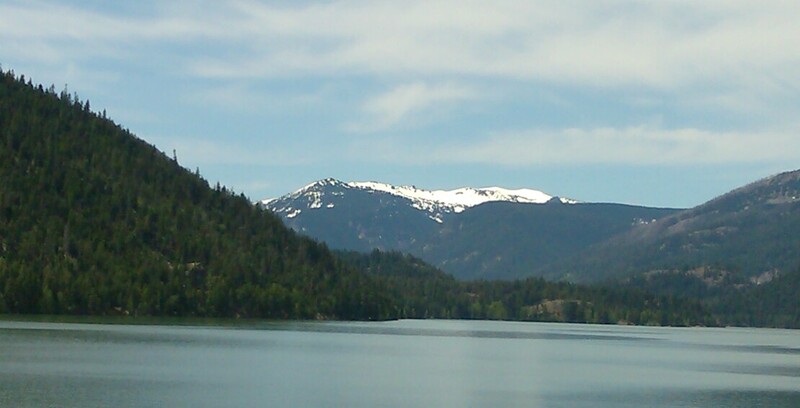 Rimrock Lake from Hwy 12, where I’m going. 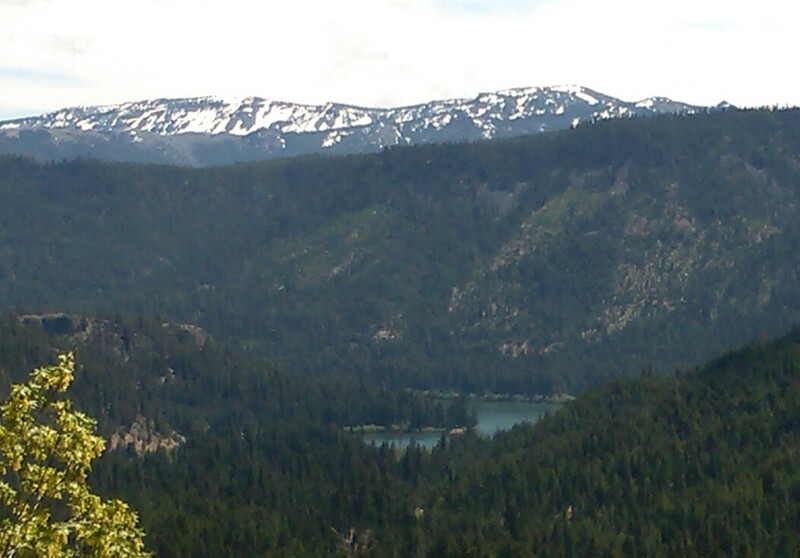 Looking back east to Rimrock Lake, where I’ve been. When I was approximately three miles from the White Pass summit I stopped to check out a viewpoint. Clear Creek Falls was absolutely incredible. 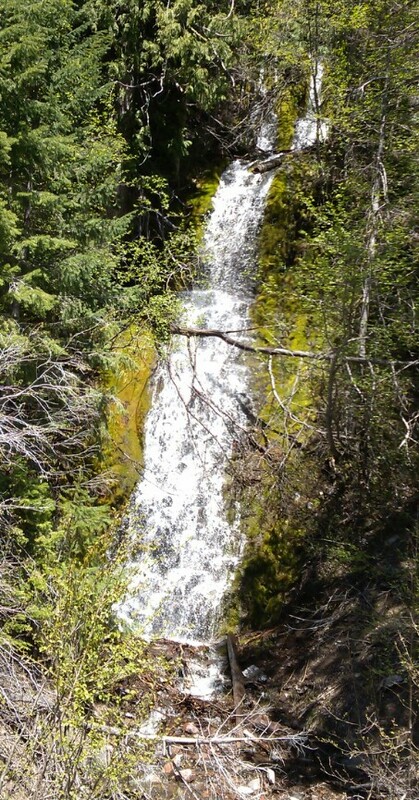 It is a very well maintained and has a safe viewing area. 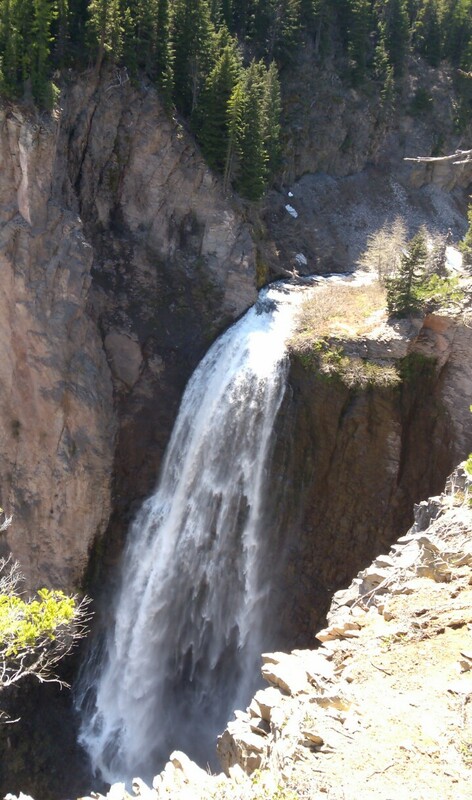 I couldn’t help but say, “O my God” when I saw the water roar over the 230 foot drop . I pushed on up the hill stopping occasionally to enjoy the view of the valley where I had been earlier this day. Looking east from highway 12, near White Pass. Today had been a 55 mile ride to the 4,483 foot White Pass summit. The lowest point in this ride was 1,617 feet which is close to Highway 410 and Highway 12. 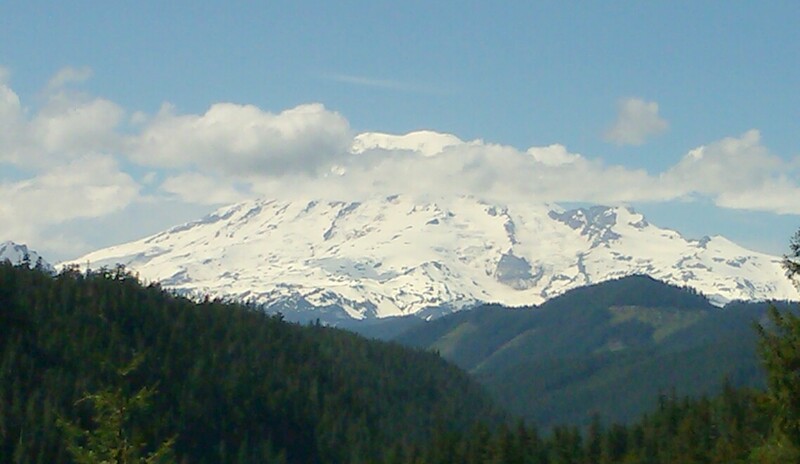 My Mountain Quest bucket list is down to Sherman Pass and Mount Adams. I may also add another Mt. Rainier ride. Last year, I rode up to the Paradise area of Mount Rainier. I hope to also go up to the Sunrise area of that same mountain. Over the next seven weeks I will steadily increase my hill climbing workout intensity in preparation for the July Pikes Peak, Colorado ride. Thanks for joining be on another Mountain Quest trek. This entry was posted in Bicycling, Mountains, Mt. Rainier, Photography, Washington State, Waterfall, Whislin' Jack Lodge, White Pass. Bookmark the permalink. Jeff, You had me at elk bugling. That sounds like a great experience. Thanks Jim, I appreciate you following my posts.